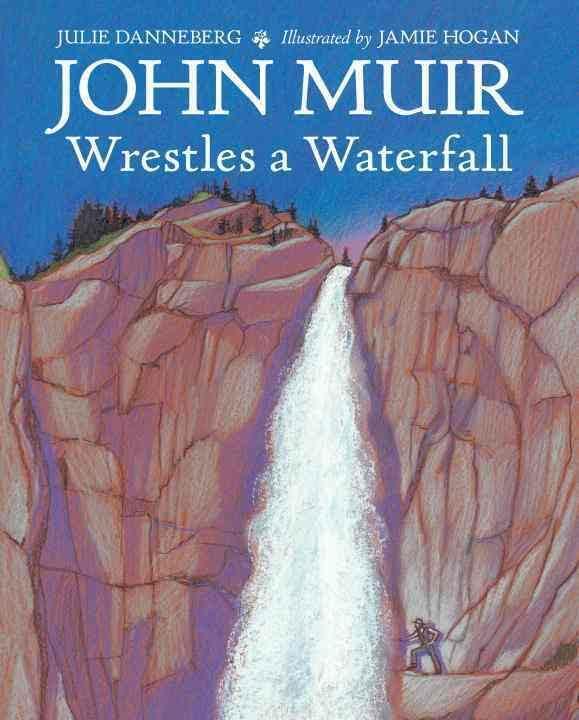 On a moonlit night in 1871, conservationist John Muir steps out of his cabin in California’s Yosemite Valley to enjoy the sight of Yosemite Falls as it splashes at his feet. Not content to enjoy the beauty of the tumbling, rumbling waterfall from a distance, he decides to climbs the mountain in order to get closer still. Join John Muir on his midnight adventure. In addition to the lyrical, adventure story, most pages include interesting and fun-to-find-out facts about John Muir’s life. Back matter includes a list for further reading, a bibliography and an archival photo of Muir. Jamie Hogan’s beautiful pastel pencil illustrations capture the tranquility and majesty of John Muir’s surroundings in Yosemite Valley.